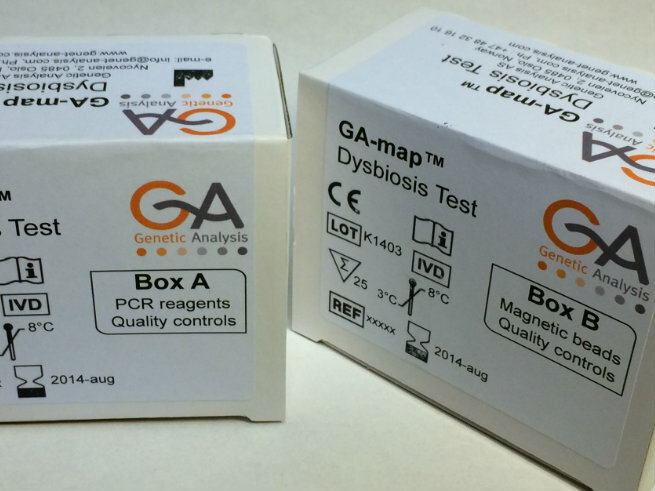 Additional microbiome tests beyond Genetic Analysis' GA-map Dysbiosis Test will be supplied and distributed through Bio-Rad Laboratories, the companies said today, through an extended collaboration whose value was not disclosed. The new agreement builds upon a partnership between the companies launched in November 2016. At the time, Bio-Rad agreed to make an equity investment in Genetic Analysis in exchange for commercialization rights in certain territories for Genetic Analysis’s GA-map technology to detect gut dysbiosis. The value of that agreement was also undisclosed. The success of that test has triggered further investment by Bio-Rad in Genetic Analysis, which developed and markets the GA-map Dysbiosis Test. The test, launched in 2013, is designed for diagnosis and management of irritable bowel syndrome and inflammatory bowel disease. According to Genetic Analysis, the test was the first to effectively and on a routine basis analyze the composition of the gut microbiota and any dysbiosis. Target DNA is first isolated from patient stool samples. Conserved regions of the bacterial 16S rRNA gene are used as templates to amplify more variable regions in-between that are unique for different bacteria. The result is based on the patient’s microbiota profile and an algorithm specifically designed to diagnose dysbiosis in IBS patients. The test can be run in any accredited molecular diagnostics laboratory, and is designed to deliver results to physicians in 72 hours, Genetic Analysis said. GA-map technology is marketed to three market segments: commercial routine testing, pharma companies and the research market. “With the GA-map technology, we will be able to offer products that can analyze the microbiome associated with gut dysbiosis, which affects the quality of life of many patients around the world and can result in serious health problems,” John Hertia, Bio-Rad EVP, Clinical Diagnostics Group, said in a statement. Established in 2008, Genetic Analysis was formed to commercialize research by Professor Knut Rudi, Ph.D., at Norwegian University of Life Sciences (NMBU) and the Ås, Norway, research site of Nofima, one of the largest institutes for applied research within the fields of fisheries, aquaculture and food research in Europe.